The meeting will hold in the Minister's conference room at the Federal Secretariat, Abuja. The only agenda as expected would be "What went wrong on Saturday?" That football and the Super Eagles majorly take precedence over other sports in Nigeria can no longer be contested. While other sports in the country are now reduced to being orphans, the Super Eagles can be likened to as a spoilt kid that gets attention at the slightest opportunity. 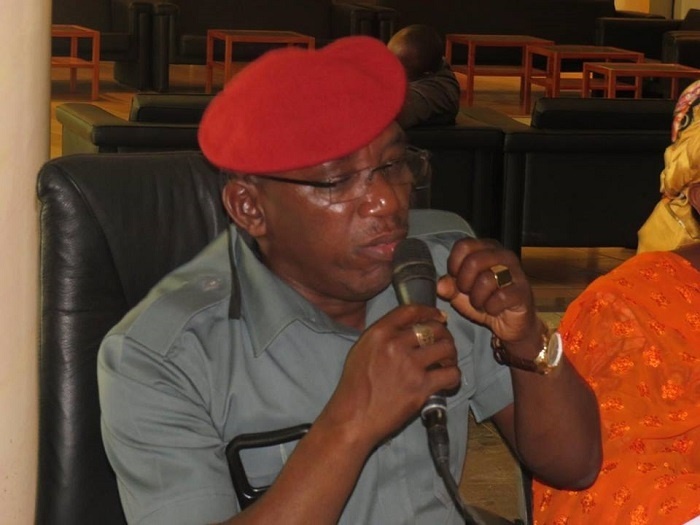 Barely 24 hours after their shameful loss to South Africa in an Africa Cup of Nations qualifying match, the Minister of Youth and Sports Barrister Solomon Dalung has summoned the Technical Committee of the Nigeria Football Federation for an emergency meeting on Tuesday. The meeting will hold in the Minister's conference room at the Federal Secretariat, Abuja at 2pm. This is coming on the heels of the Super Eagles 0-2 loss to visiting Bafana Bafana at the Akwa Ibom International Stadium Uyo at the weekend. Nigeria is now 3rd in Group E table behind South Africa and Libya and there are already fears about Nigeria missing out on a third successive Africa cup of nations tournament having missed the 2015 and 2017 editions. The 2019 AFCON will be staged in Cameroon.